Theme Park Review's Orlando 2009 Trip! Theme Park Review's Orlando 2008 Trip! 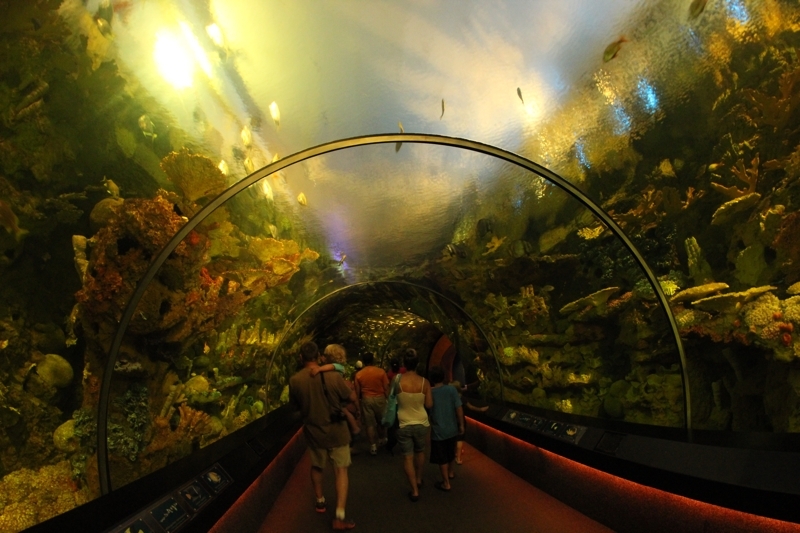 There are over a dozen exhibits around the park where you can get up and personal with various forms of sea life. 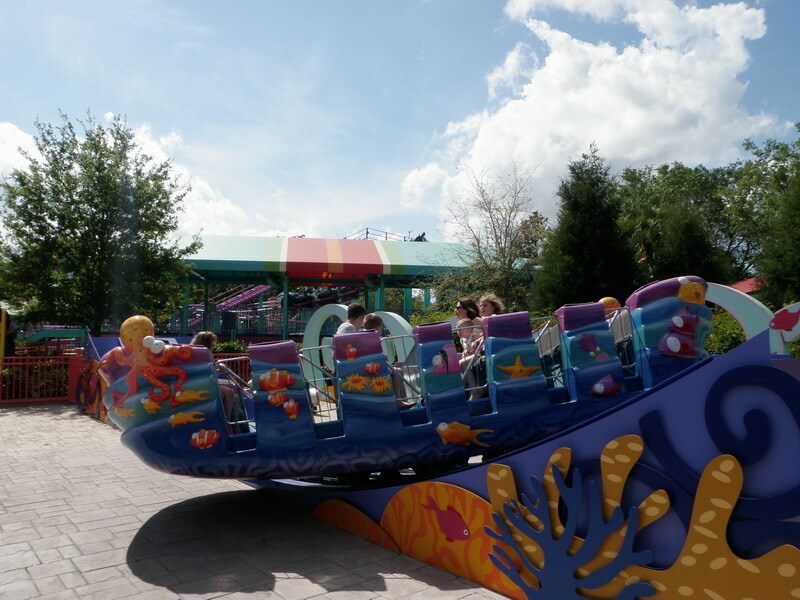 Shamu's Happy harbor is an area where kids and families can enjoy rides together. Sharks Underwater Grill is the most upscale menu in the park (seafood and steak) but is pricey and not included on the All Day Dining Plan. If you plan to spend the whole day (at least two sit-down meals) at Sea World, the All Day Dining Plan is a good deal. The park has mutliple sit-down restaurants with above-average theme park food that are included in the All Day Dining Plan. Voyagers Smokehouse serves BBQ, Seafare Inn offers fresh carved sandwiches, and Spice Mill has burgers and grilled chicken. Seven Seas Food and Wine Festival occurs on weekends February-April. 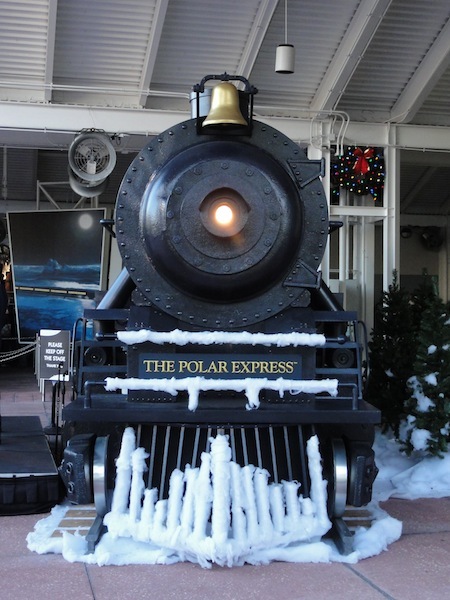 The park will make changes to some shows during their Christmas celebration. During Halloween Spooktacular kids of all ages trick or treat at no additional charge. Location: The main entrance for SeaWorld Orlando is on Central Florida Parkway between International Drive and Sea Harbor Drive. SeaWorld is not responsible for changes to bus routes and schedules. This is for information purposes only that our guests have requested. 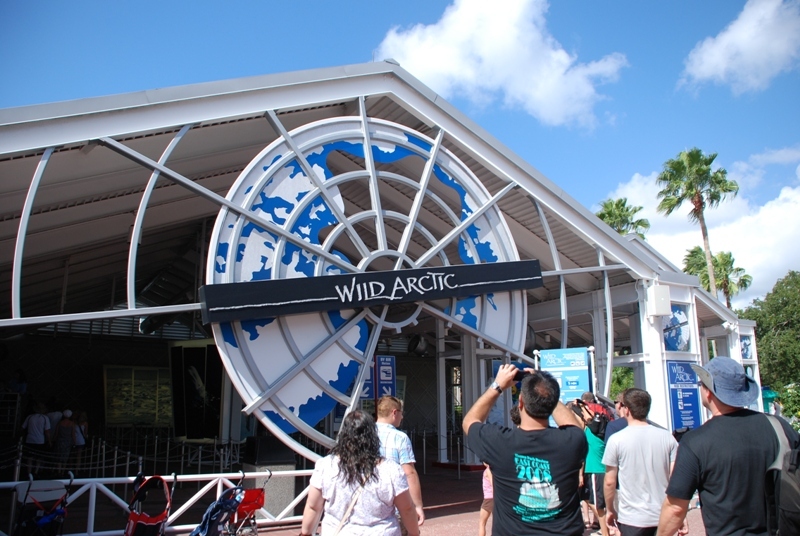 The lynx #50 bus goes from Downtown Disney to Downtown Orlando and back, but does have a stop near SeaWorld Orlando. For itinerary and route information go to www.golynx.com click on schedules and maps and then link #50 for more information. From the North (Downtown Orlando, Universal Studios, Sanford, Deland, Daytona): Take I-4 West to exit 72 (Beachline Expressway/FL-528/Airport). Once on the Beachline, take the International Drive exit (exit #1). At traffic light, turn left. (You will be driving on International Drive.) At the second light, turn right onto Central Florida Parkway. The entrance to SeaWorld is on the right-hand side of Central Florida Parkway. From the West (Lake Buena Vista/Tampa): Take I-4 East (toward Orlando) to exit 71. This is the SeaWorld exit. Bear right onto Central Florida Parkway when exiting ramp. The main entrance to SeaWorld is on the left-hand side of Central Florida Parkway, at the sign for SeaWorld Orlando. From the East (Cocoa, Cape Canaveral, Titusville Area): Take FL-528 (Beachline Expressway) west to the International Drive exit (exit #1). Make a left on to International Drive. Make a right onto Central Florida Parkway at the second traffic light. The entrance to SeaWorld is on the right-hand side of Central Florida Parkway. Two versions of Busch's Quick Queue are available. 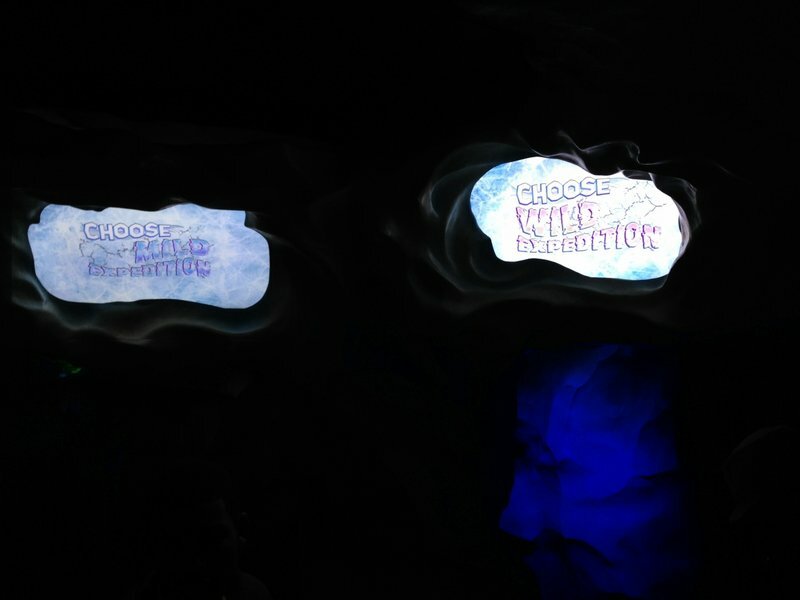 Regular Quick Queue gives you one-time front-of-the-line access for Manta, Kraken, Journey to Atlantis, and Wild Arctic. Unlimited Quick Queue is exactly what it says for the same rides. Note: some attractions using Quick Queue restrict you to a particular row of seats. 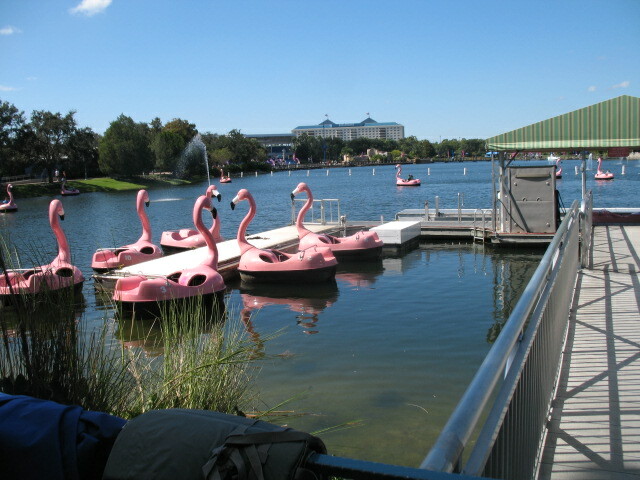 Purchase of either Quick Queue option gets you one complimentary ride on the Paddle Boats and SkyTower. Of course, most people think of Shamu when they hear Sea World. Shamu Rocks is a very popular show, but Believe is another killer-whale show. Blue Horizons is a colorful, Broadway-type spectacular with costumed divers and exotic birds, but the real stars are the dolphins. A'Lure Call of the Ocean is a acrobatic show. If you're up for some lighthearted humor catch Pets Ahoy! or the Clyde and SeaMore Show. 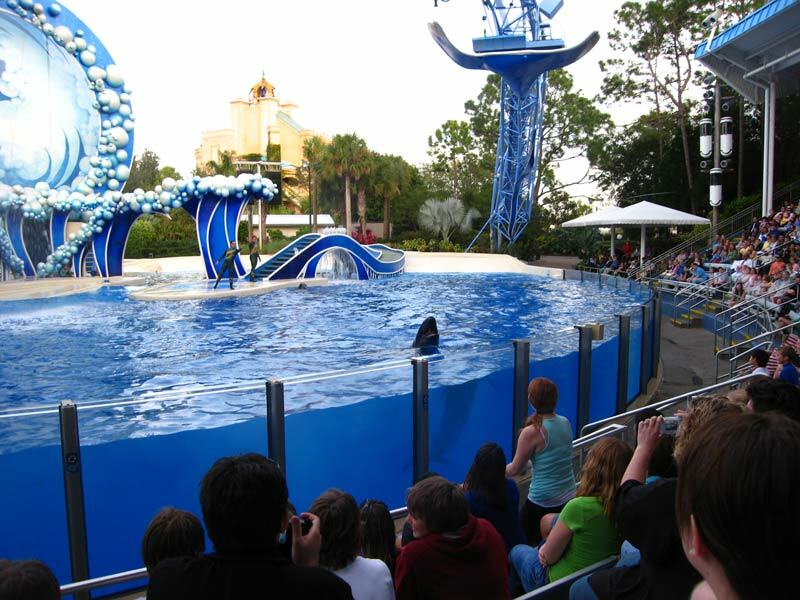 Sea World is no longer just a side trip in Orlando for tourists who love aquatic life. If you take in all the shows/attractions and enjoy the fabulous food you could easily spend a full day here without even entering their new waterpark. The addition of Manta should provide adrenaline junkies a companion coaster and a more unique ride experience for locals. Shamu is still the star attraction at the park, but he has plenty of support from other creatures of the aquatic domain. Sea World is quality with two good coasters and some outstanding animal shows. 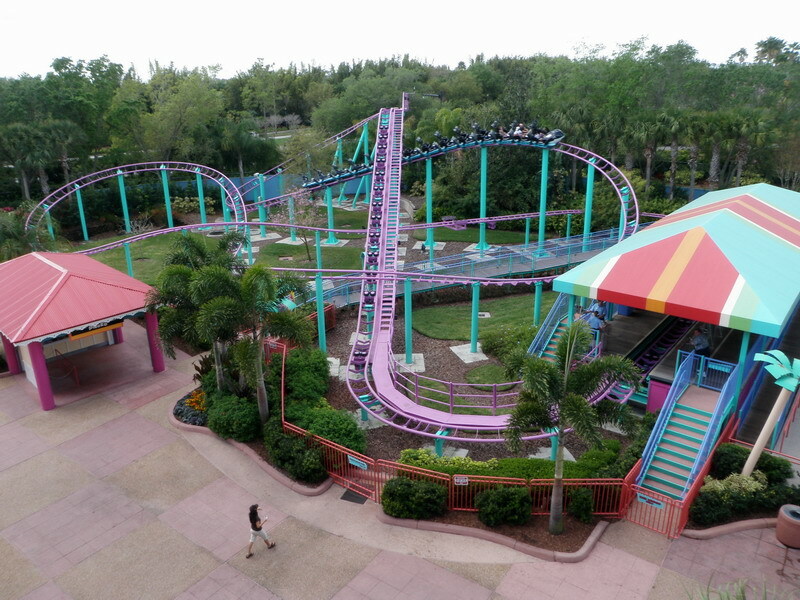 Manta provides an experience unique from any other ride in the state of Florida and is well integrated into the landscape and pathways. 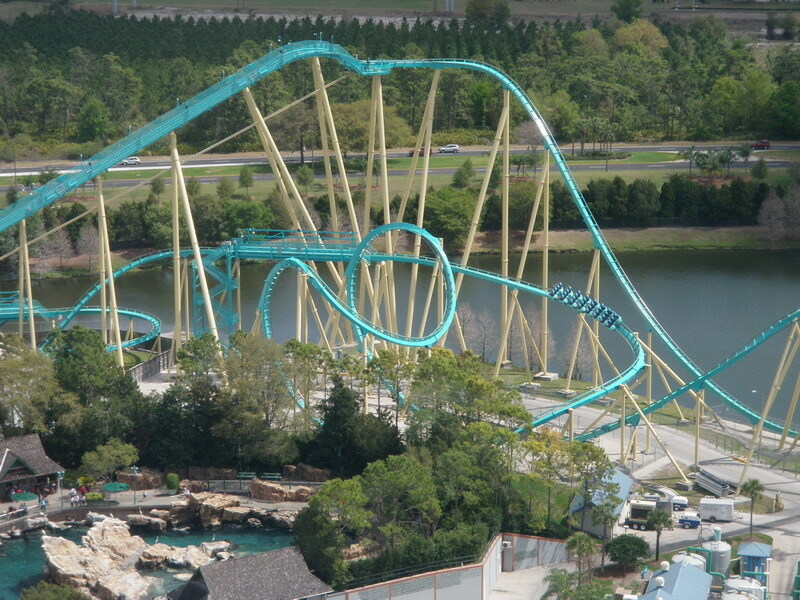 Kraken is actually my favorite strictly looping coaster in the state of Florida due to its surprising airtime. The animal shows are a highlight and should not be missed. The park is a more enjoyable place for those with families than it is for adults. The major attractions are very enjoyable without much else to supplement them . If you want to add two quality coasters to your list while enjoying some spectacular shows, this park is worth a visit. SeaWorld is a great park. It's clean, it has great shows, reasonable prices for an Orlando theme park, and some really great rides. Manta is one of the best roller coasters I have ridden in a long time. But, as great as it is, I feel that when a park is 18 minutes from Disney and 14 minutes from Universal, you really have to bring it if you want to be the best, and i feel that this park just doesn't do that. This park is without a doubt great, even fantastic, but its just hard to score high when the first things that pop into your mind about Orlando are Mickey Mouse and Universal. SeaWorld looks fantastic and has great atmosphere, but really is an aquarium with rides, not a park with sealife. 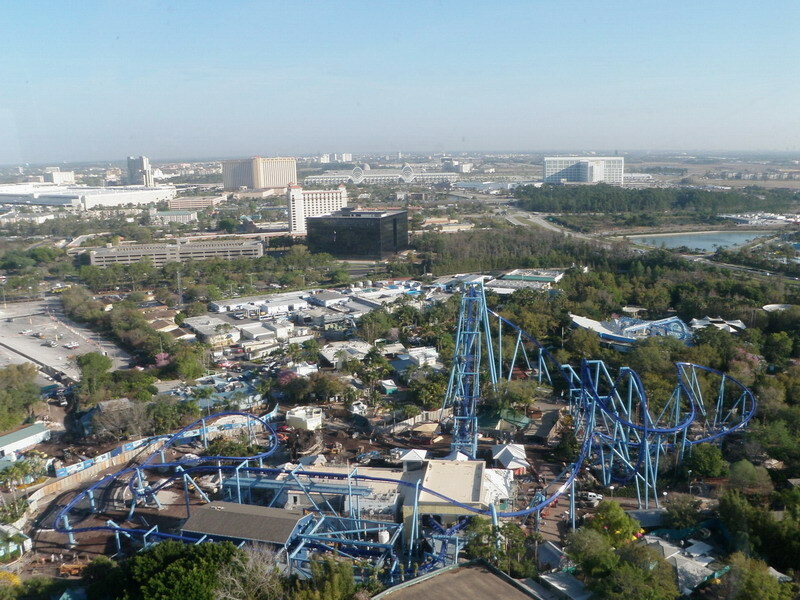 The 3 big coasters are all very nice- Manta is an amazing experience, and Kraken is a great floorless coaster. Jourmey to Atlantis was good, but not quite as memorable. 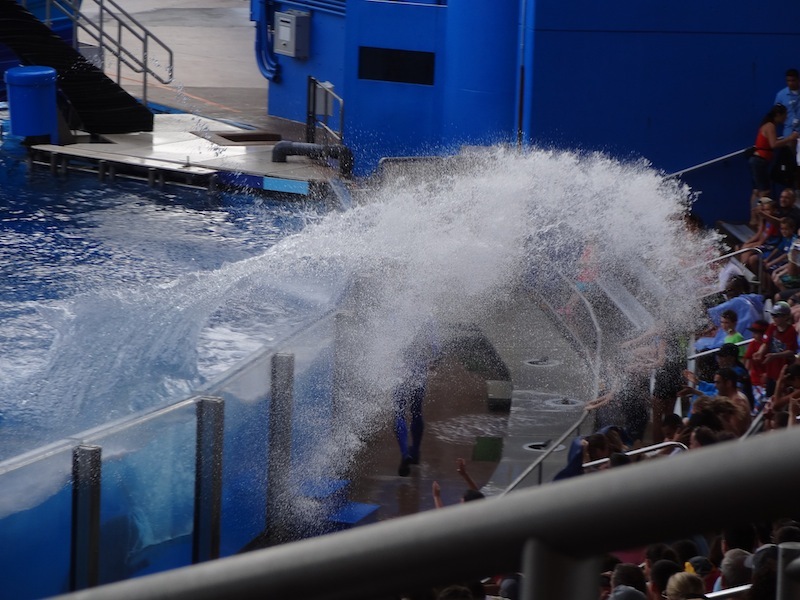 The sea lion and dolphin shows were enjoyable, but I found Shamu's performances to be a bit lacking. The food was very good and varied, which was nice. The park layout was dreadful, but perhaps when construction finishes for 2013 it will be better. While it is a beautiful place to spend the day and has some real cool gems (buying an oyster with a pearl!) I don't feel a strong urge to return before a new addition. This is a nicely themed and to be honest a great park. The shows although corny, are fun and there are two really good coasters. Even after riding Kraken and Manta a few times and seing all of the shows we were ready to leave. This is really a half day kind of park. I cant imagine spending a few days here. 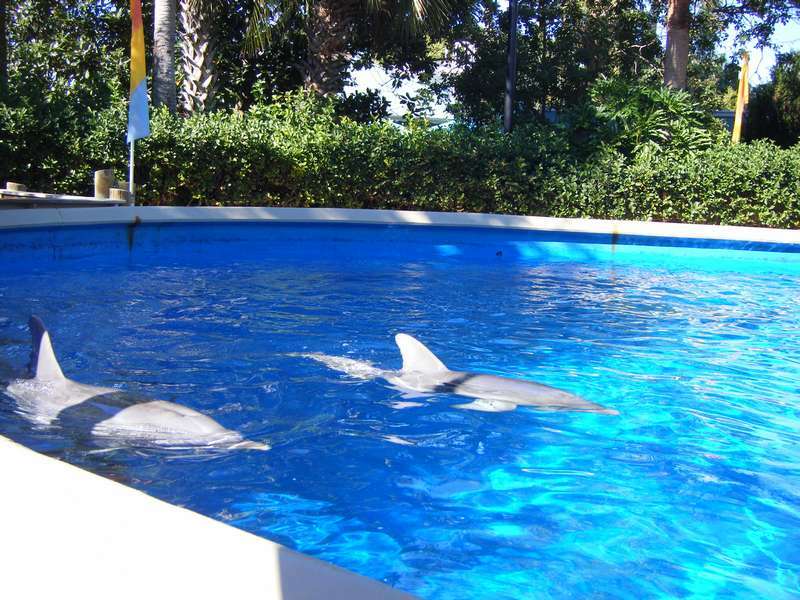 The best park though was feeding the dolphins. That was amazing. SeaWorld Orlando is a great park that has a few excellent thrill rides mixed in with a huge selection of shows and family attractions. 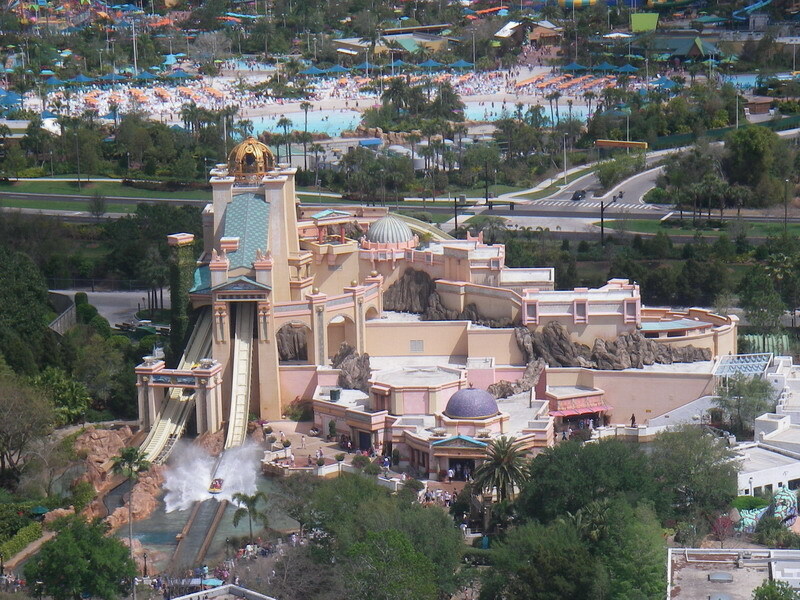 Manta and Kraken are two of the best B&M's out there, and Journey to Atlantis is a great themed attraction. 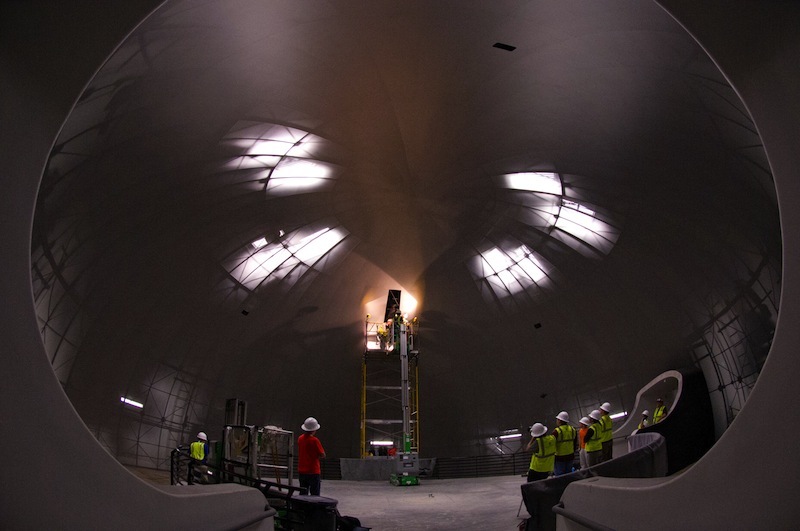 Aside from that, you can expect tons of aquatic exhibits and entertainment. 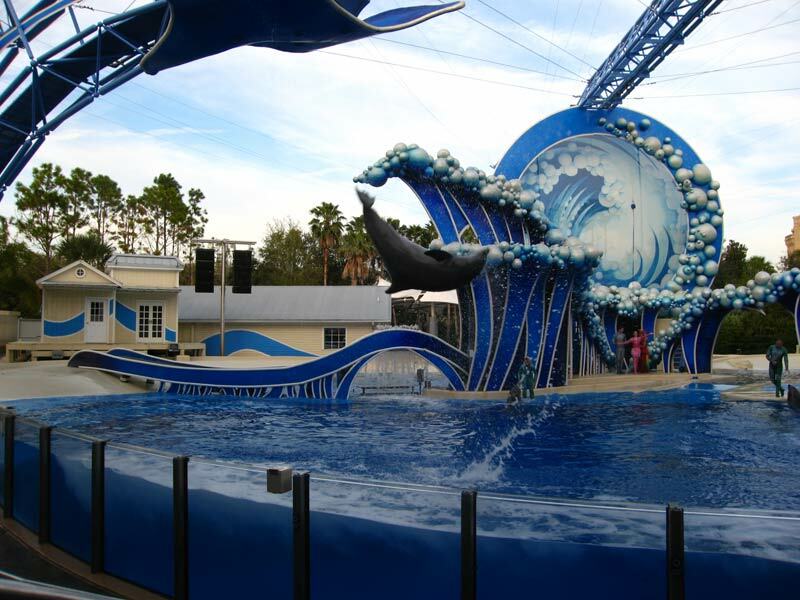 Seaworld is a great theme park that is slowly turning into one of the best parks in Orlando! The animal shows and exhibits are fantastic, the staff is very friendly and helpful and the recent addition of Kraken and Manta gives the park two of the best steel coasters in the world. 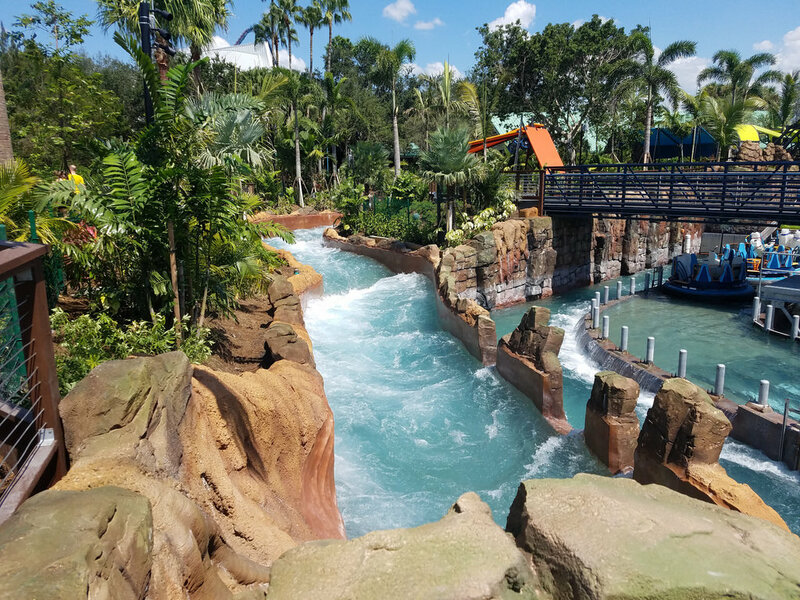 There are some great ticket packages available for Sea World/ Busch Gardens/Aquatica /Discover Cove that i would encourage anyone to consider on their next trip to Orlando. Great park, the shows are very entertaining. Then landscaping and foliage are both nice. Great atmosphere, and great attractions. Kraken is still one of my favorite floorless coasters. The park is also great for families. There is something for everyone. 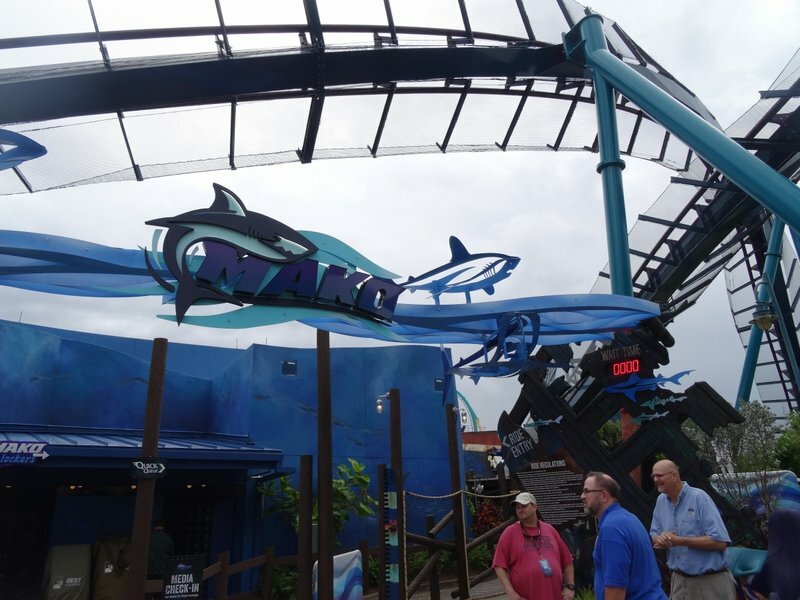 Manta was a great addition to the park. Journey To Atlantis is a great family attraction as well. Nothing negative about the park. Without the Amusements, this park would not be what it is. The Shamu show is nice, but I found the SeaLion show somewhat cheesy. Speaking of Sea Lions, they have easily the best Sea Lion exhibit that I have seen in America, worth a definite 20 minutes of your time. Manata, OMFG! 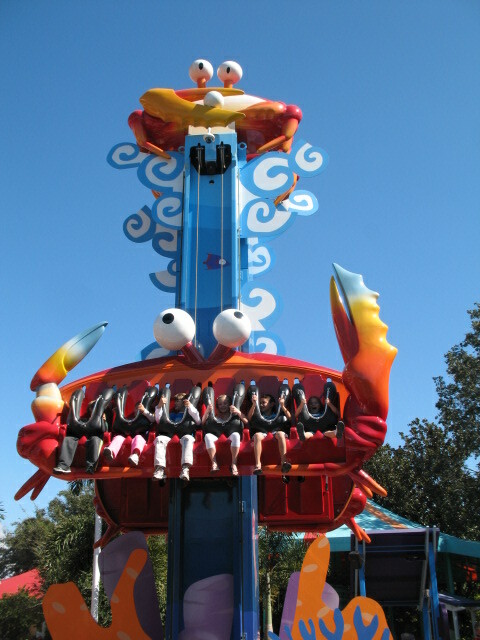 Journey to Atlantis is getting back to full operation and don't forget about Kraken, one of best B&M's in the country. The park has some decent food over by the stables and while you are there, be sure to check out all of the fish tanks in the Manta area! 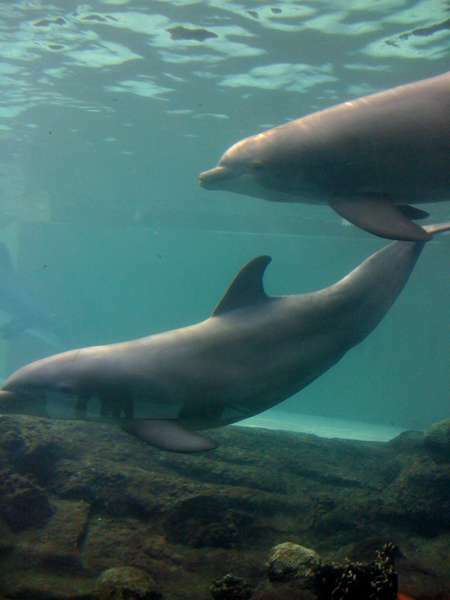 SeaWorld Orlando is a great place for families. No, they don't have the theming as the other two places in town, but they have aquatic animals everywhere. Where else can you see a polar bear, penguins, false killer whale, and of course Shamu in one day? The three coasters are great. Manta and Kraken for adults, and Shamu Express for the kids. The kids area allows younger ones to ride things, which mine loves. The best part about SeaWorld is that you never seem to be waiting in a "line." Yes, you might be sitting and waiting for a show to start, but you're sitting down and not on your feet and often times, in shade. You can't say that about Disney and Universal. If they brought back free beer, they would get a 5 star rating! This park Is by far the best amusement park I have ever been to. It has a small but stellar coaster lineup and world-class shows. My only problem is, like most Busch parks it does not have much shade. Don't get me wrong, SWO has some great thrill rides (especially Manta). However, I wasn't horribly thrilled by some of the animal exhibits. Some of them were incredibly executed, while others were mediocre. However, I will probably never get the opportunity to see two Beluga whales mating outside of the Wild Arctic exhibit. 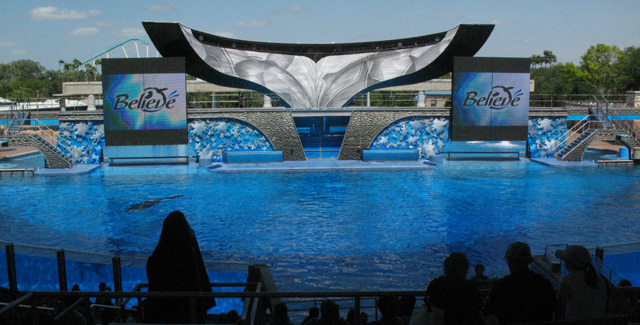 The Shamu show "Believe" wasn't as exciting as the TV commercials made it seem. I will definitely go back again sometime, but not any time soon. The rides at this park are amazing, but there are only a handful. 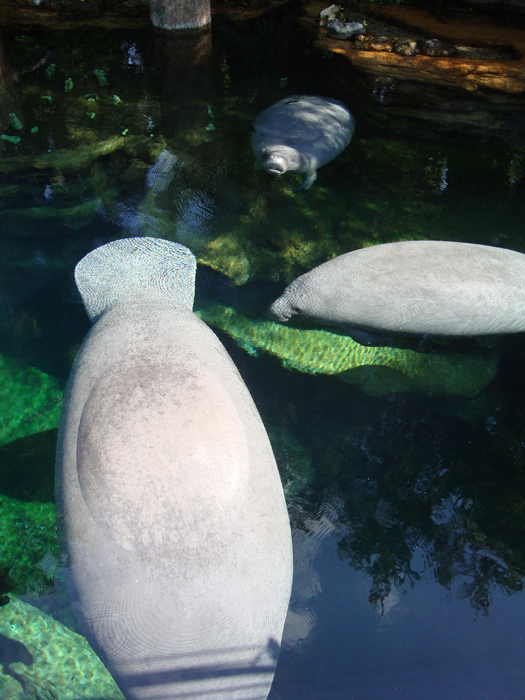 What really makes this park amazing is the interactions with the animals and exhibits. Being able to pet stingrays or dive into a shark tank is a once in a lifetime experience that makes for a great day! Also, Shark's is probably the coolest restaurant I have ever been too. Sea World Orlando is an excellent theme park! 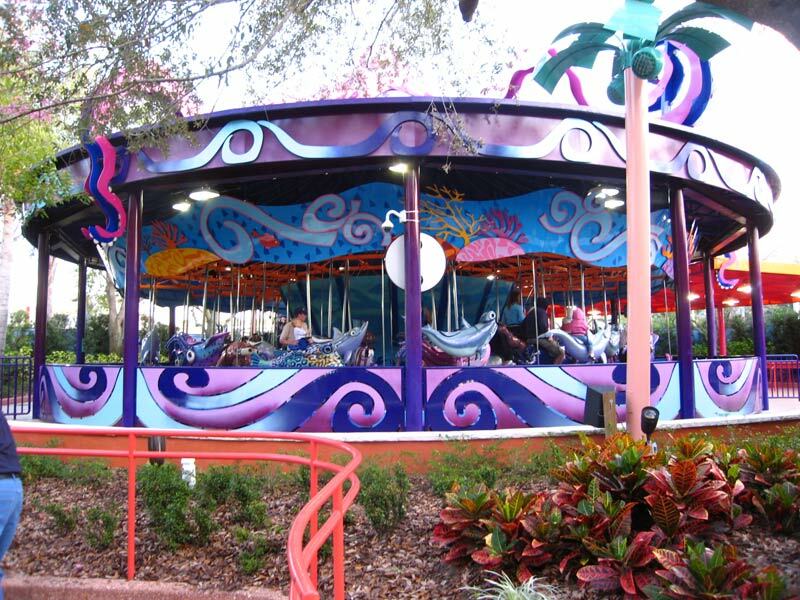 It has a great range of rides and attractions that cover everybody's interests. It has a couple of well themed coasters and thrill rides for the adrenaline junkie, a few great shows for everyone (make to see the Clyde & Seymore show, it's hilarious! 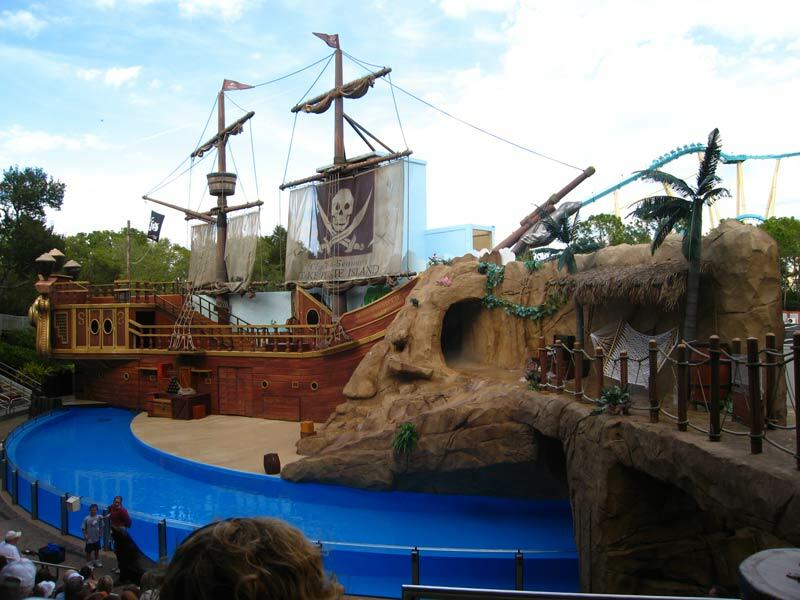 ), Shamu's Happy Harbor with children oriented attractions, and some good animal exhibits for the slightly older crowd. The food is also tasty and various; there's something for everybody to eat. Manta and Kraken give me what I need in the adrenaline department, and Journey to Atlantis is a lot of fun as well. The shows are good, and this comes from someone who does not like shows (even with fish in them.) The theming is really nice (see MANTA) and the food is great! I'd recommend getting fish, then telling the kids around you that you are eating Shamu :) Okay, just kidding about that part. Kids attractions are all in one spot.